In private practice for over a decade, Dr. Craig Richter in Long Island, New York, specializes in treatment of cataracts, glaucoma, and other eye conditions. Dr. Richter treats a wide variety of eye conditions at his Long Island, NY, practice. He is board certified by the American Board of Ophthalmology and has close to 20 years of medical and surgical experience in the practice of ophthalmology. He takes great pride in the close relationships that he has built with his patients and is committed to offering them the highest level of medical and surgical eye care available. Dr. Richter completed his undergraduate degree at Cornell University with a major in Biology. He then moved to New York City where he received his medical degree at the New York University School of Medicine. Dr. Richter completed his residency in ophthalmology at the prestigious New York Eye and Ear Infirmary and served as an attending physician where he trained residents in both medical and surgical eye treatments. Dr. Richter has been in private practice in Huntington for well over a decade. He is a specialist in cataract surgery and utilizes the latest technologies for cataract extraction and lens replacement. Dr. Richter also enjoys practicing general ophthalmology with an emphasis on the medical and surgical treatment of glaucoma, the management of macular degeneration, and the management of diabetic eye disease. 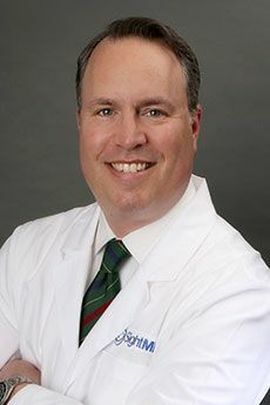 His practice employs leading edge diagnostic and treatment modalities including selective laser trabeculoplasty, ocular coherence tomography, optical and ultrasound biometry, corneal topography, tear film osmolarity, and automated perimetry. Dr. Richter is an attending physician at Huntington and Syosset Hospitals. He is a fellow of the American Academy of Ophthalmology, the American College of Surgeons, the American Society of Cataract & Refractive Surgery, and is a member of the Medical Society of the State of New York. Dr. Richter and his wife have two children and are long term residents of Huntington. In his spare time he enjoys skiing, cycling, and spending time with his family and friends. He looks forward to welcoming new patients to his practice and continuing his relationship with his established patients.